Do you live in an apartment with a balcony, fire escape or rooftop terrace? Most city dwellers neglect these spaces or use them for nothing more than hanging laundry and storing bicycles. And for a long time, so did I. 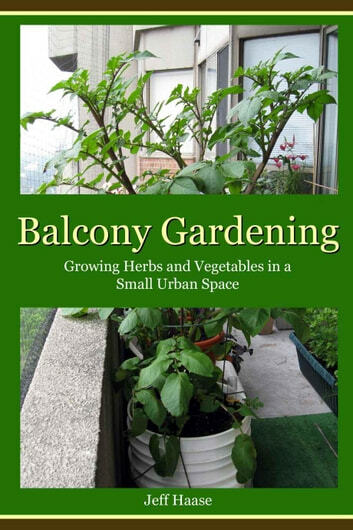 Several years ago I decided to transform my under-used balcony from a lifeless concrete pad into a little garden in the sky. Every year I grow a small harvest of vegetables such as tomatoes, peppers, beans and peas, and more than enough herbs to satisfy our culinary needs. Sometimes I even grow watermelons. You don’t need to live in the country or have a big yard to own a productive garden. And detailed growing instructions for all of my favorite garden herbs and vegetables.